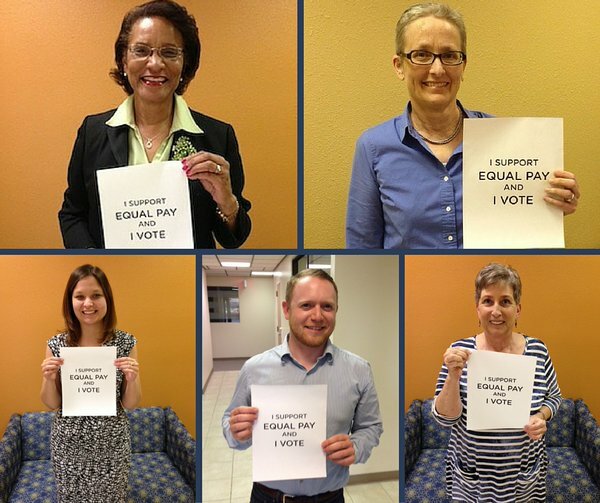 Equal Pay today! organizations are hard at work, but we can't do it without you! Equal Pay Today! is a project of Equal Rights Advocates. We were formally a fiscally sponsored project of Tides Center. Donations made to Equal Rights Advocates for Equal Pay Today are 501c3 tax deductible (Federal Tax ID: 23-7217027). To donate online: Click the DONATE NOW button on your right and enter "Equal Pay Today" in the "Donation is in honor of "section. To donate via Wire or ACH Transfer or for other questions, please contact info@equalpaytoday.org. equal Pay Today! case for support.